Water and fire damage can happen at the most inconvenient times and places. Pet feces in the home can complicate the problem by spreading germs. SERVPRO of Wilson County isn't afraid of cleaning anything that stands in the way of getting your home back to normal. SERVPRO of Wilson County is dedicated to training its people to the highest standards. Rest assured knowing that heavy mold growth is present in your home or business is what SERVPRO does with ease. Our people have the knowledge and safety practices to ensure that your health and quality of life aren't adversely affected by mold. 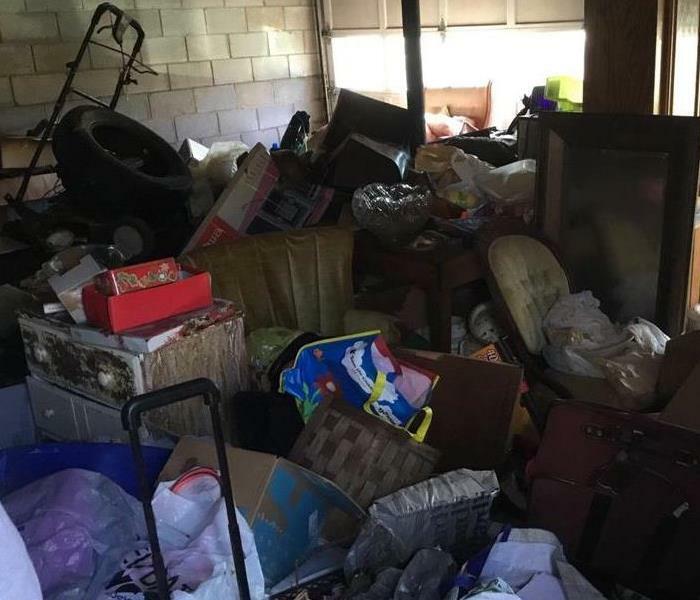 SERVPRO of Wilson county has the patience, expertise, and knowledge to help you clean and restore a home that's been damaged by hoarding. 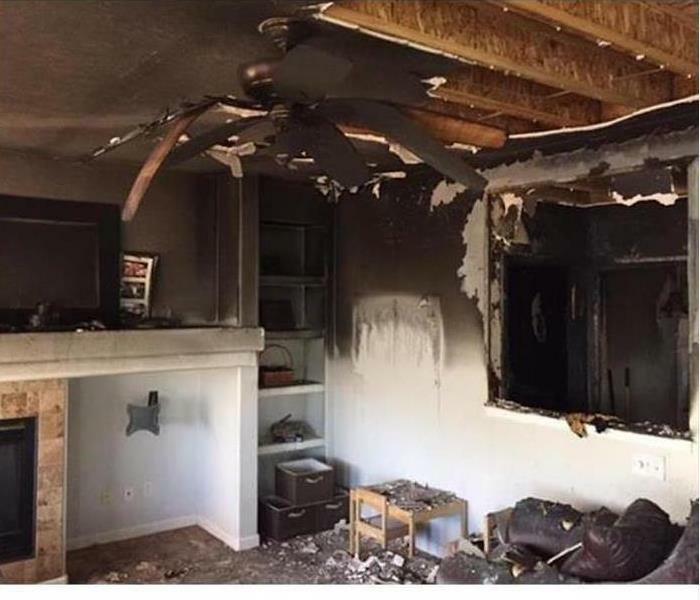 Fire and water damage can happen in homes with extraordinary amounts of personal belongings. SERVPRO of Wilson County knows exactly what to do to get you or your loved one's home back to pre hoarding condition. This home in Wilson County, TN was severely fire damaged. 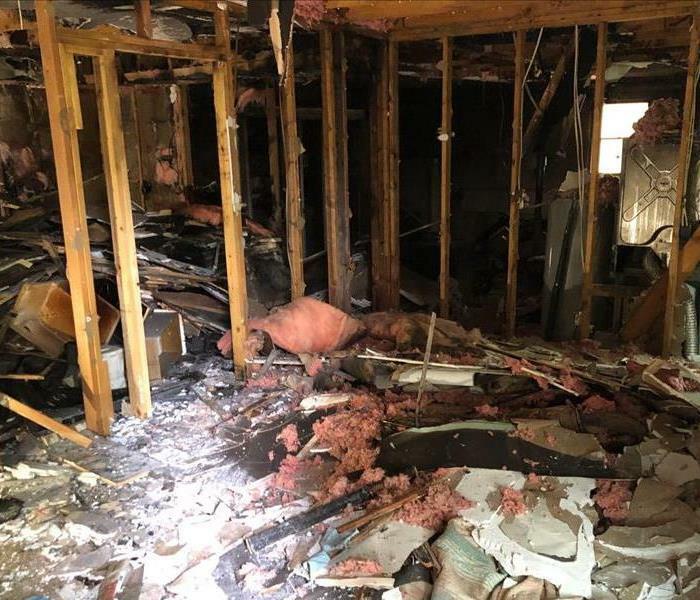 The demolition on this home is only partially complete, but this photo shows you the extent of damage that some fires can cause. SERVPRO of Wilson County can completely restore your home and we also work with all major insurance carriers. We have the skills, knowledge and personnel to clean and rebuild your home after a fire or water damage. This was the aftermath of a sewage backup in a home in Gallatin. There was a significant amount of water damage to the home. 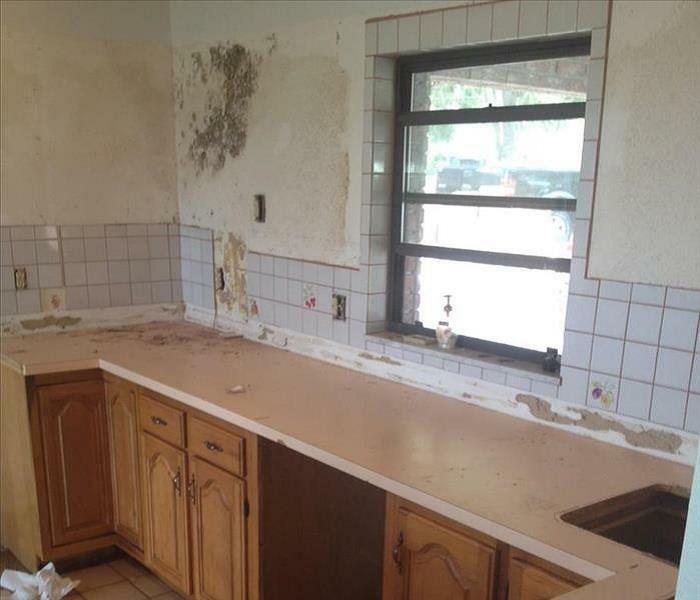 Our SERVPRO team was ready for work to begin, to restore this home. This Mount Juliet's home crawlspace had been affected by a water damage, which caused flooding of the crawlspace and mold remediation. SERVPRO of Wilson County work with the finest equipment in the industry to quickly remediate mold in your home/crawlspace. Call SERVPRO of Wilson County 24/7 at (615)449-5000. 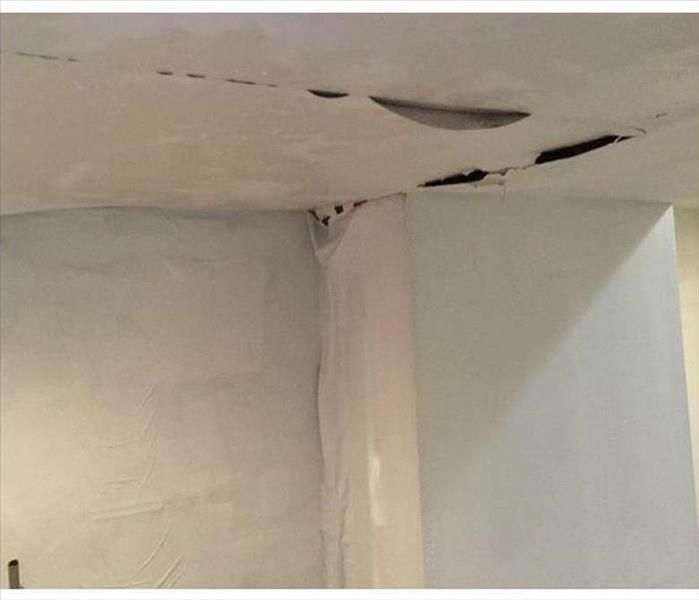 Water damage can't always been seen with the naked eye. 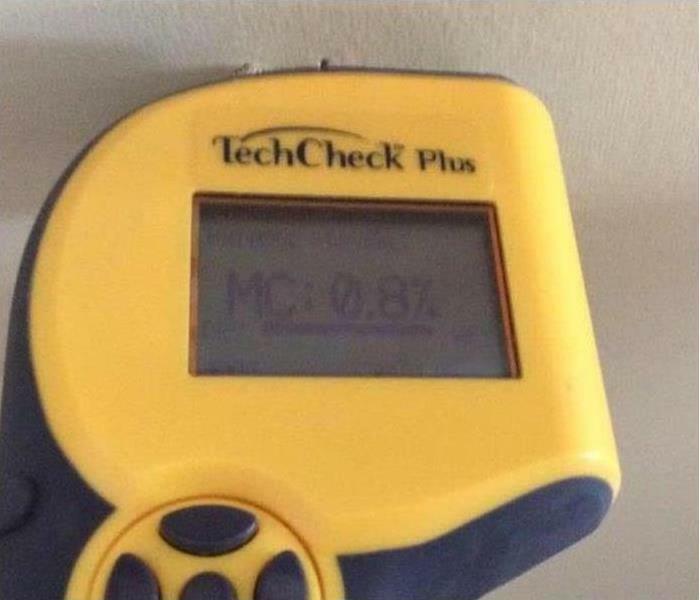 SERVPRO of Wilson County employs high-tech moisture detection devices that are able to provide moisture content readings in numerous types of building materials. 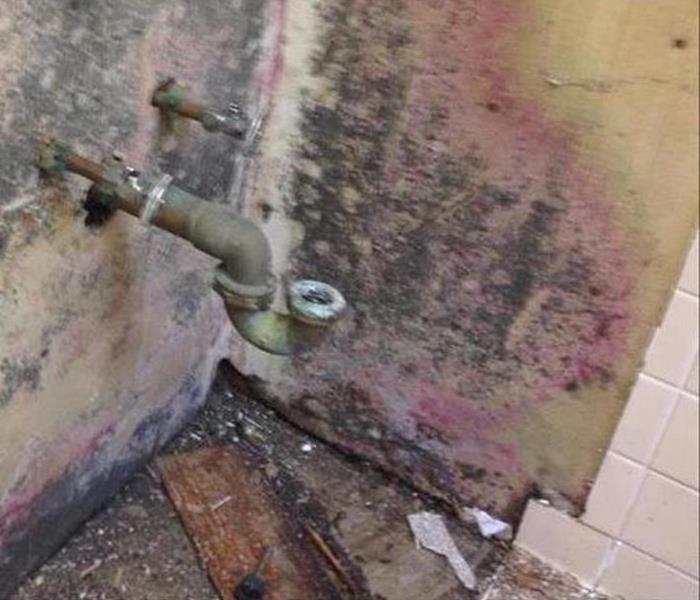 Thanks to our SERVPRO crew they have fixed this Lebanon bathroom. 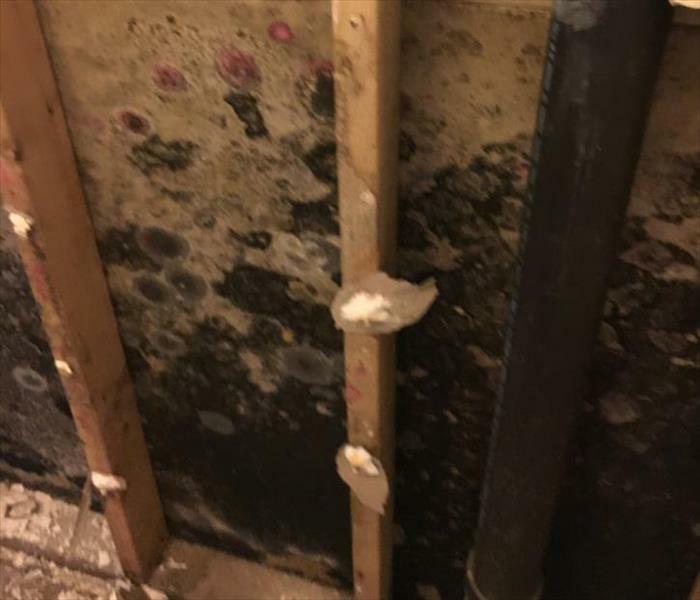 This Lebanon home's bathrooms wall and floors were demolished to expose the breath of the infestation. The sub-floor to this bathroom was one step away from caving in. 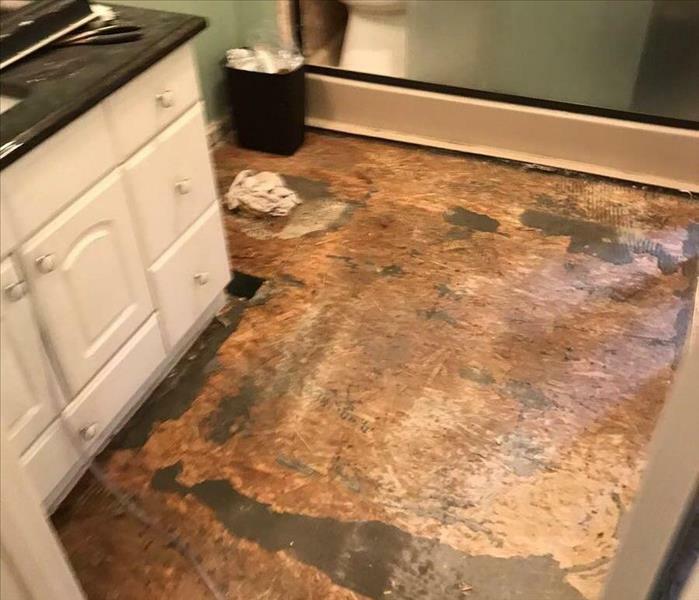 SERVPRO was called to remediate the damage to this bathroom. The mold stain on this wall in an Old Hickory house spread from an internal leak. A SERVPRO technician found the source of the moisture and fixed that problem. He then scrapped away the mold from the damaged area, applied an antifungal product, and returned to check a week later. "Like it never even happened." Our Clients Think We Are The Best! Our crew received a lovely thank you note from very pleased clients. They were impressed with our technician's professionalism, and the respect they were shown. It's our job to make sure that in this time of chaos we are there to guide you with all the information and answer all your questions. We appreciate our clients and consider you part of the SERVPRO of Wilson County family! The leak soaked the carpeting which was replaced in this Mt. Juliet bedroom to safeguard the laminated plywood sheathing from being degraded. SERVPRO heavy duty equipment is finishing up the drying process; the floor is ready for a new carpet. 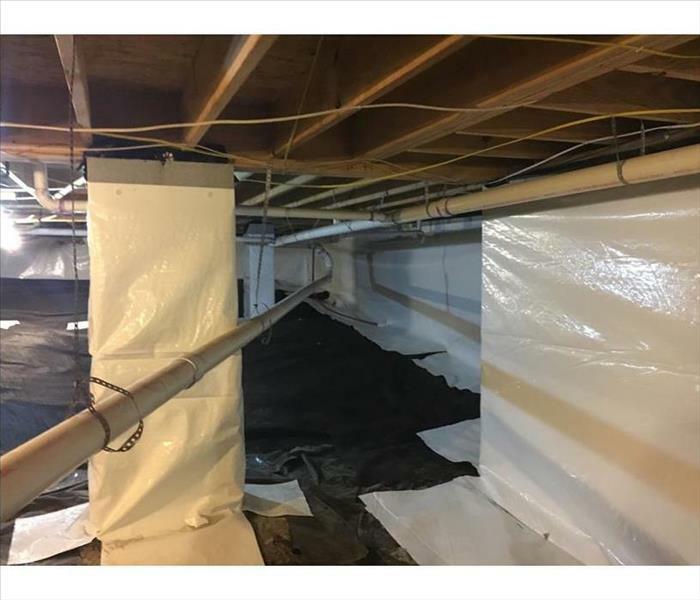 Our SERVPRO technicians completed the featured dry zone service to this crawlspace in Old Hickory with the sump pump installation as depicted by the photo. 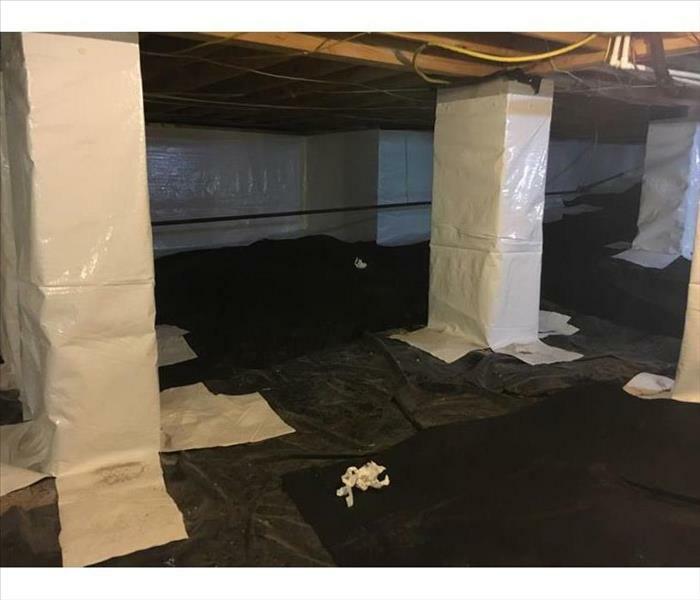 The Crawlguard white liner and the black vapor barrier will prevent infiltration of moisture from the air and absorption from the soil. 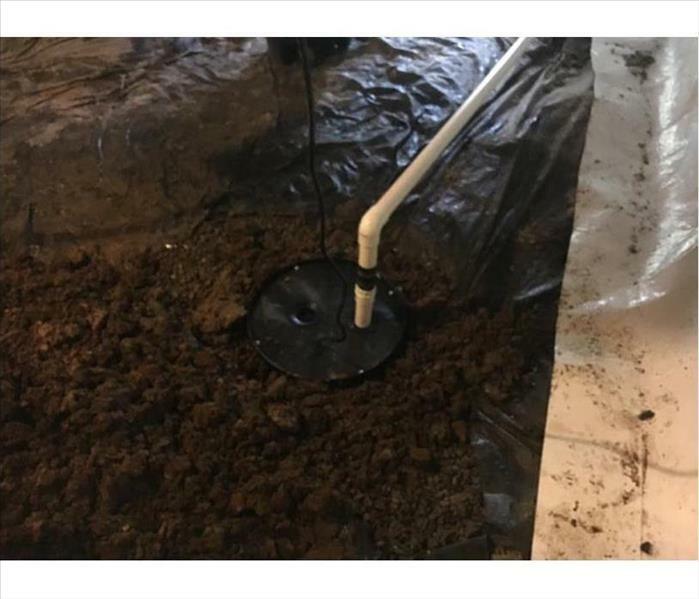 The sump pump is insurance of mitigating water damage from potential flood water intrusion by rapid removal via the PVC pipe to the exterior. 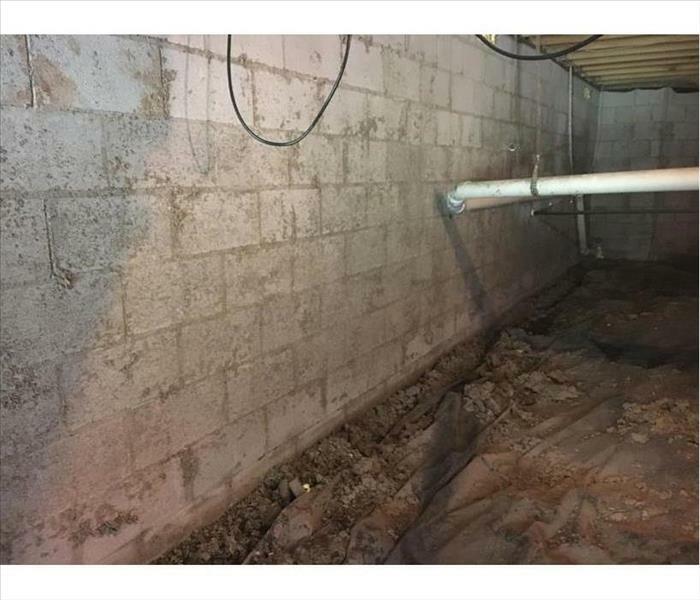 Our SERVPRO customer from Watertown, regardless of the root of his town's name, wanted nothing to do with pooling water in his crawlspace. Especially after we just placed a Crawlguard vapor barrier on the block walls, columns, and the bare ground. 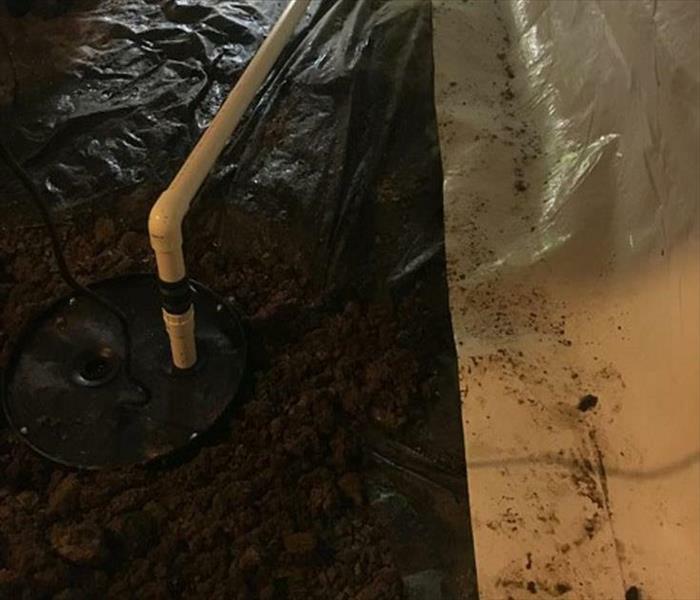 The pictured sump pump can collect any future sudden flooding from natural or mechanical mishaps and convey the water to the outside via the PCP plumbing. Full protection and a satisfied and happy customer. Need help? Call SERVPRO of Wilson County. The optics demonstrate how a crawlspace encapsulation in a Watertown structure can establish a very effective vapor barrier. 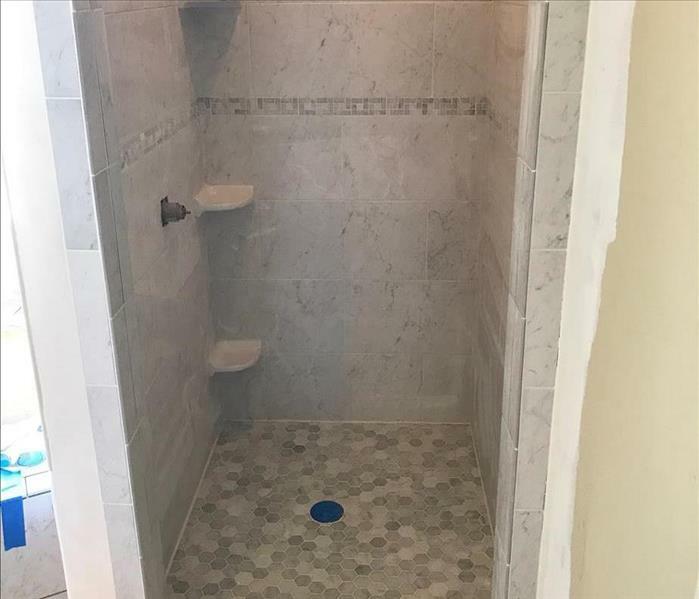 After our SERVPRO team removes any standing water and excess moisture, this setup is your answer to maintaining an almost moisture free under house area. It is now a large storage space. 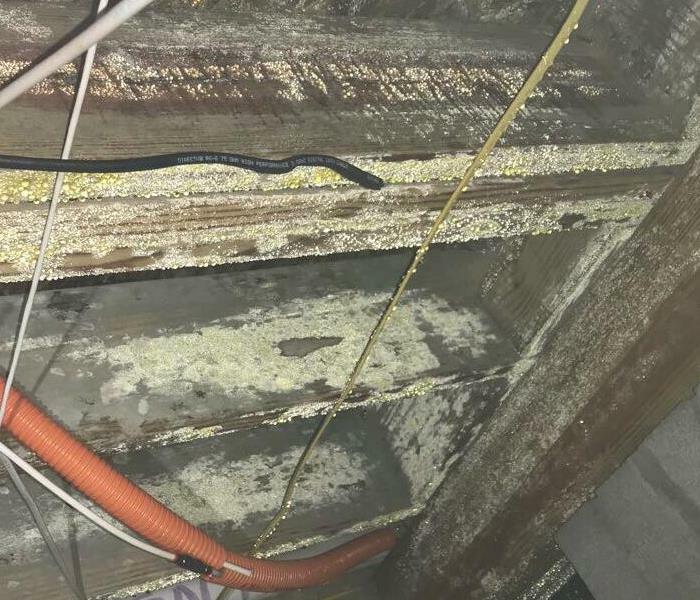 After SERVPRO technicians removed moisture from the piers and walls, encapsulation of this Old Hickory home's crawlspace helps prevent future humidity problems. The Crawlguard liner is an effective vapor barrier to reduce moisture penetration, especially from the soil. Contact SERVPRO of Wilson County to set up an installation for you. Muddy crawlspaces are common in many homes in the Old Hickory and Watertown areas of Wilson County. After our SERVPRO technicians extract the standing water, the on-going moisture problems must then be addressed. Professionally installed encapsulation is the permanent solution. Call us for help. By picking up the phone and calling SERVPRO of Wilson County, Lebanon and Mt. Juliet residents are relieved in knowing they will get an immediate response. We're Faster To Any Size Disaster. Water and fire can cause instant damage to your home or business. Don't wait! Call us at the phone number located on the side of our Green response vehicle to mitigate damages and restore your property to its preloss condition "Like it never even happened." When groundwater, loaded with contaminants from septic tanks, stream debris, and oily street deposits in a house with large volumes of water, this is the result. The photo depicts a demolition of destroyed building elements, ready for a rebuild. 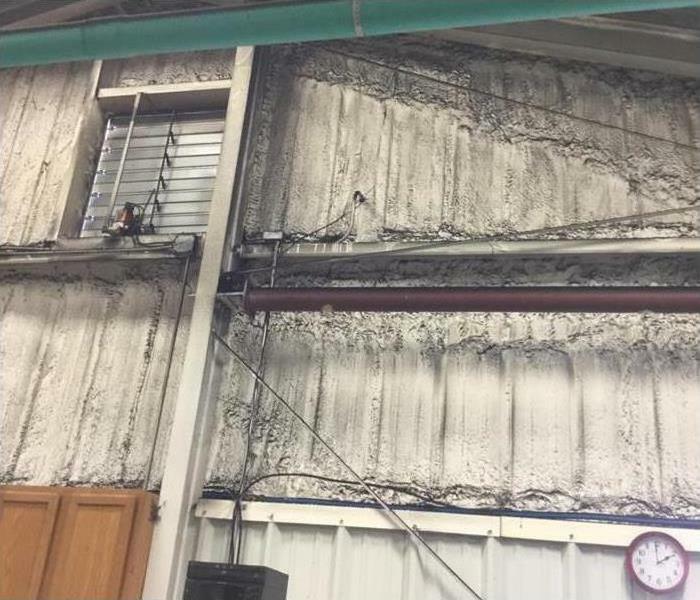 Standing water in this exposition center required rapid extraction to mitigate the water damage. Using powerful, weighted wet-vacs (Rovers) the moisture is removed from the fibers. Dehumidifiers finish this phase of the water removal, and then an antimicrobial agent is applied. The fire damaged wall in this Mt. 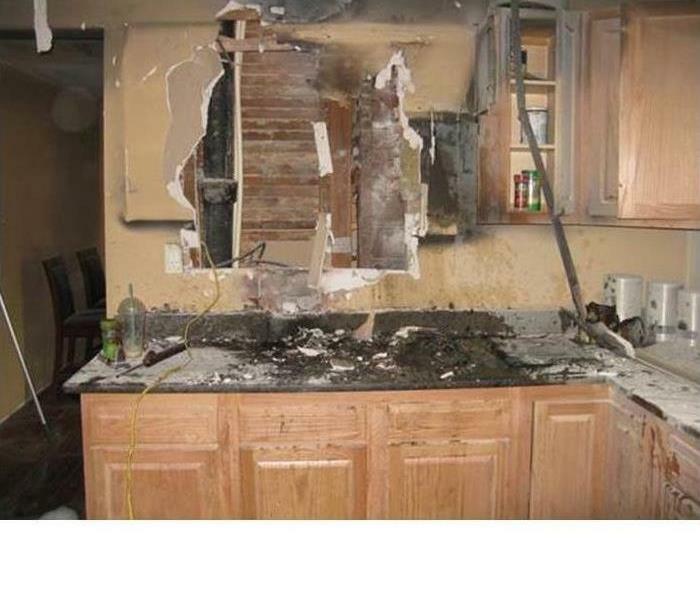 Juliet kitchen occurred from an electrical short that flamed out of control. Firefighters exacerbated the fire damage by opening the wall to ensure no live embers were still burning. SERVPRO's first moves are to remove the non-salvageable elements and to set up hydroxyl generators to mitigate the noxious smoke odors. A ruptured water line sprayed water over an area of this hardwood floor. The damage was compounded with the plywood underlay above the concrete pad. 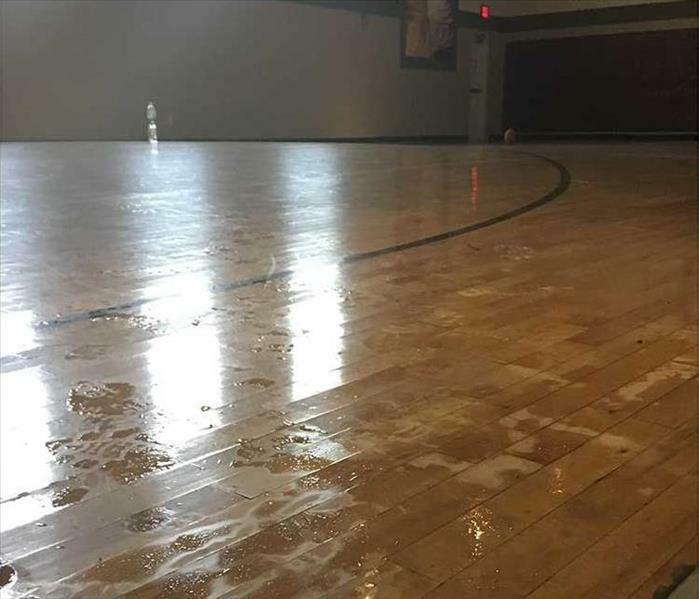 The Old Hickory water damaged court needed extensive drying for all three layers of wetted flooring. Heavy equipment, scientifically placed, expedites the drying and moisture removal. 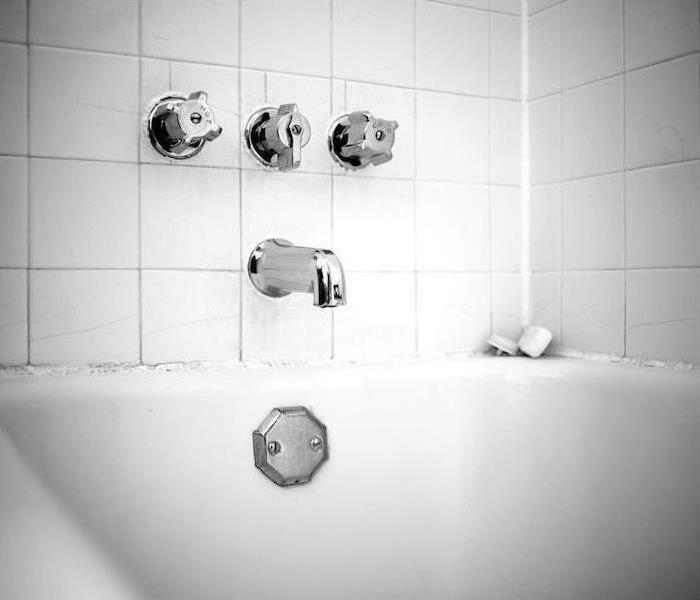 Mold damage occurred in this Mount Juliet bathroom when the caulking around the tub hardened and cracked. That allowed moisture to creep through the cracks into the structural components behind the tile. 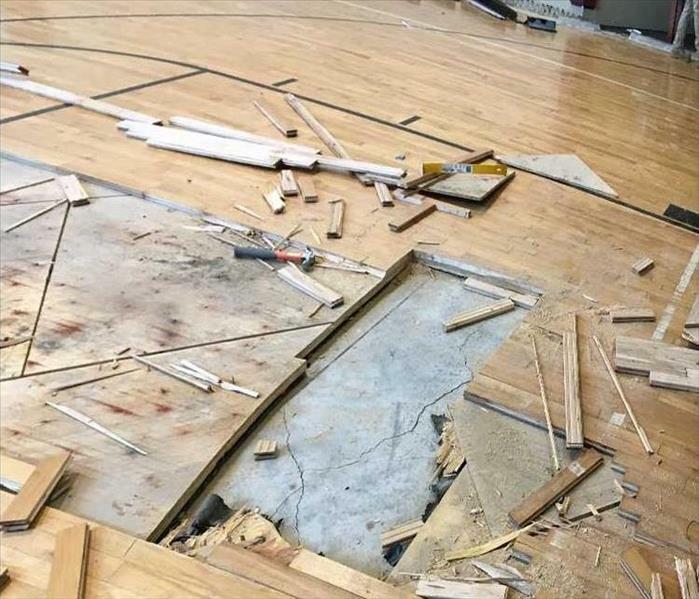 The gym floor in this Mt. Juliet school suffered a water damaging event. A rapid removal of the water can mitigate damage to the hardwood flooring. Municipal buildings that are serviced by SERVPRO can save the taxpayers of Wilson County money. 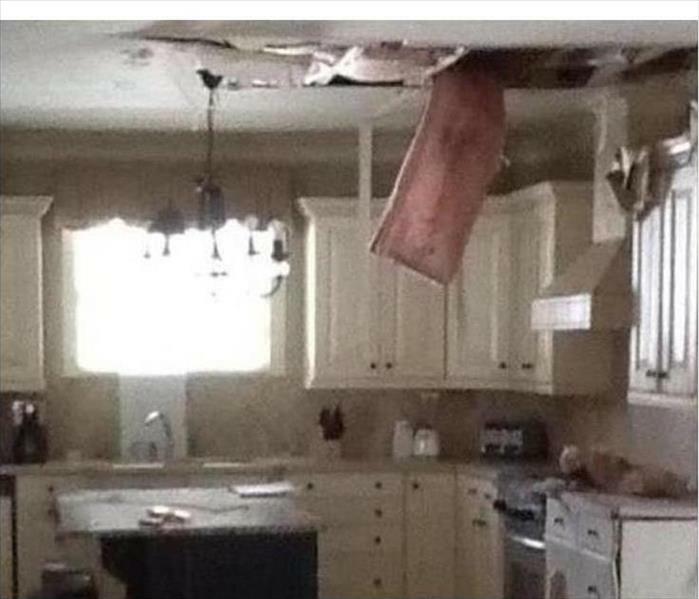 High winds can make a Lebanon kitchen look like a war zone. When trees penetrate the roof and wreak havoc on the rafters, stored belongings in the attic, and the ceiling, it is time to call in SERVPRO. Technicians can safely demolish and discard the damaged building elements as the exposed roof is being covered with a tarp. We're Faster To Any Size Disaster. 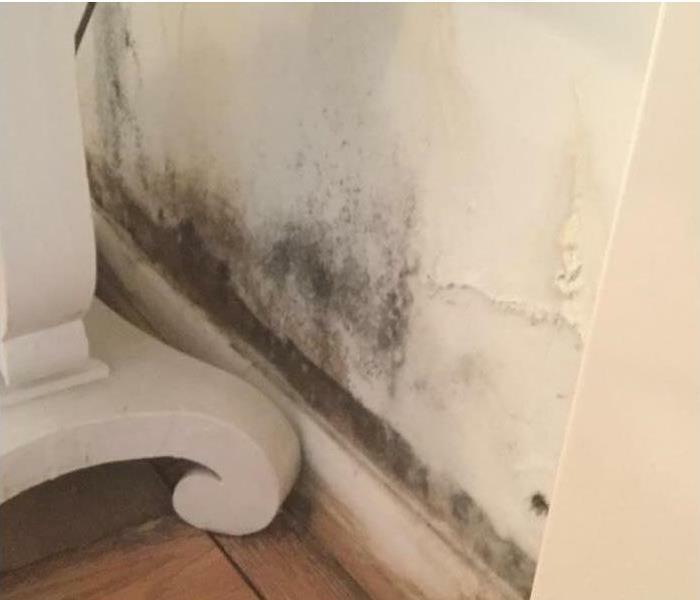 Mold damage at this Mount Juliet home’s bedroom was caused by condensation from the other side of the wall where a bathroom was positioned. We were required to cut out a portion of the drywall and patch a small leak before drying the entire area. Fire damage to this Mount Juliet home’s attic damaged several rooms below. We tore out and disposed of all burnt and non-salvageable building materials before we began the fire restoration process. Water damage in Mount Juliet residences or commercial facilities can’t always be seen with the naked eye. SERVPRO of Wilson County employs high-tech moisture detection devices that are able to provide moisture content readings in numerous types of building materials. A metal warehouse in Mt. Juliet was covered when industrial chemicals ignited causing a billowing of smoke. The hard surfaces are ideal for wiping down with sponges and detergents to restore the business to its preloss condition. 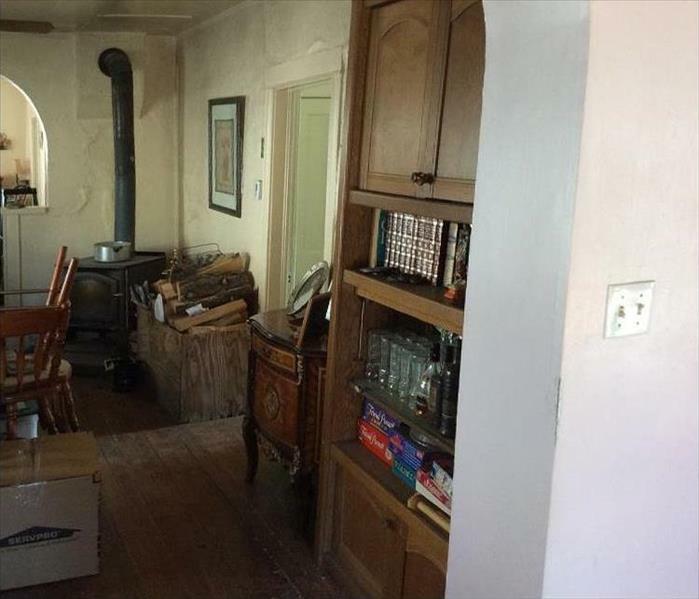 The wood burning stove was used, and the result was a smoke filled cabin. The Hickory owner was lucky a fire did not burn the building down. SERVPRO technicians, in these situations, can wipe down the walls and deodorize the affected rooms. The leakage was ignored until the musty smell called out for mold remediation in this Hickory Home. 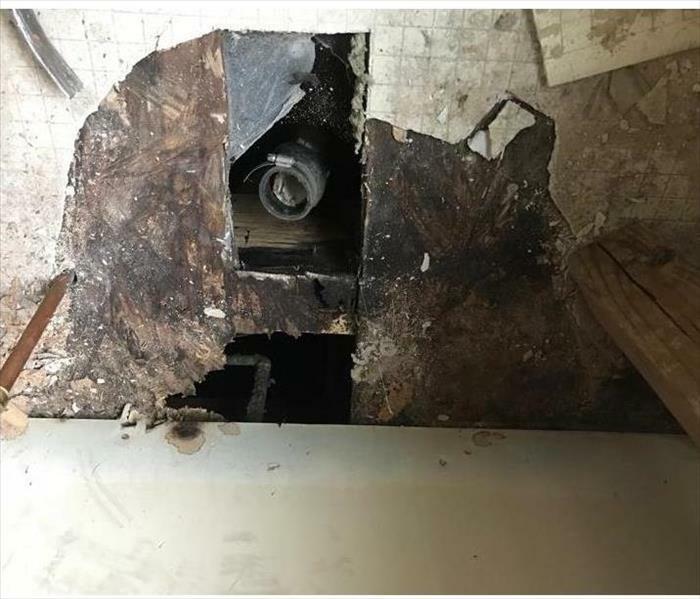 The sink and base cabinet were removed and discarded due to a very heavy mold infestation. This wall should also be demolished and the area sanitized before a rebuild can begin. The aftermath of a storm required heavy duty equipment to be placed for water extraction in a plant in Mt. Juliet. 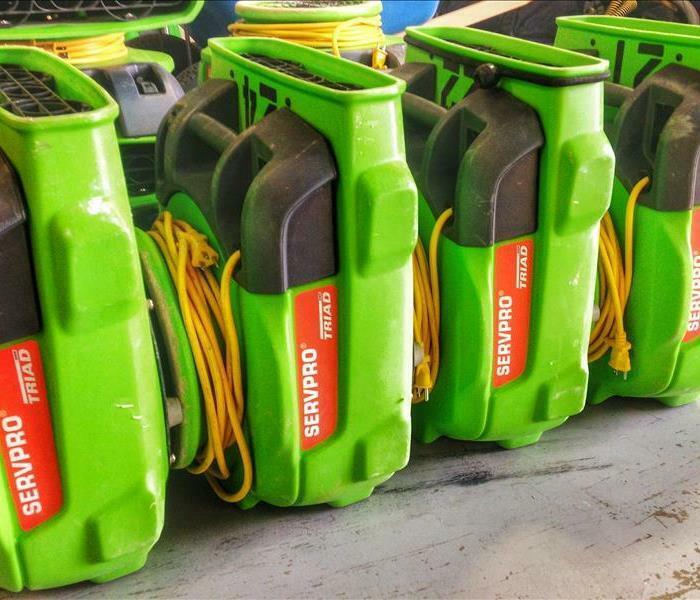 SERVPRO inventories a vast array of drying equipment such as air movers, and low grain dehumidifiers. Rely on a professional storm damage restoration company to keep your business open and functioning. This Old Hickory home's bathroom wall was demolished to expose the breath of the infestation. The visible mold blotched wall panel was also removed and discarded according to local code. Our SERVPRO team was then ready to continue with the remediation. 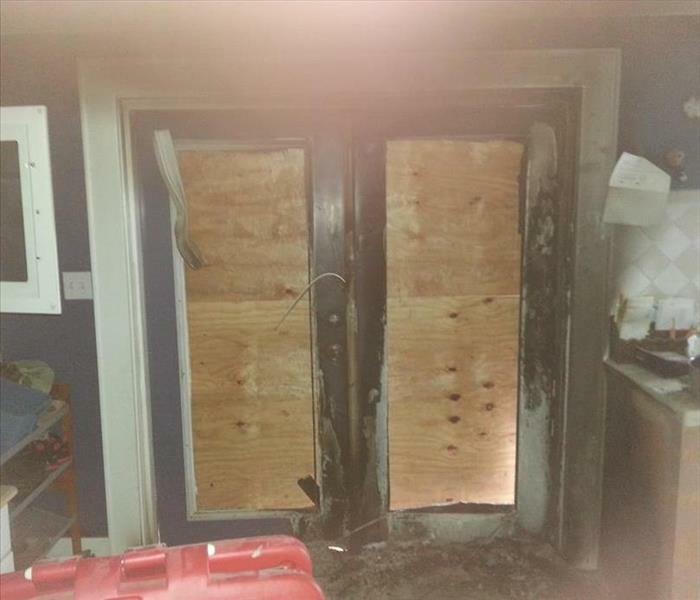 Fire damage began in the kitchen of this Lebanon home. One of the windows was broken out in the firefighting effort. SERVPRO was called to remediate the fire damage over the weekend. This window was boarded up waiting for Monday when it could be replaced. This building in Old Hickory was breached with a large volume of water. The oil based paint peeled away from the ceiling, walls, and the support column. Our SERVPRO technicians cleaned up and dried the damaged surfaces. 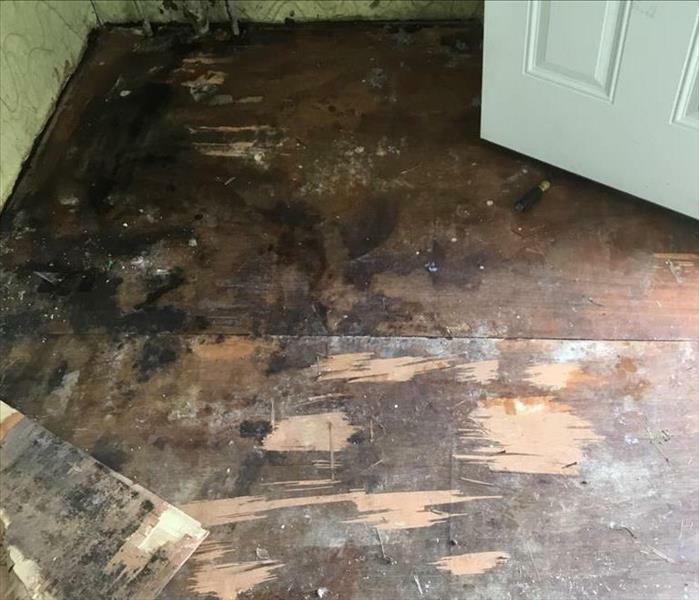 Mold damage in Mount Juliet like mold damage at any location often requires the construction of containment areas to prevent mold spores from circulating throughout the home or building in which they are located. 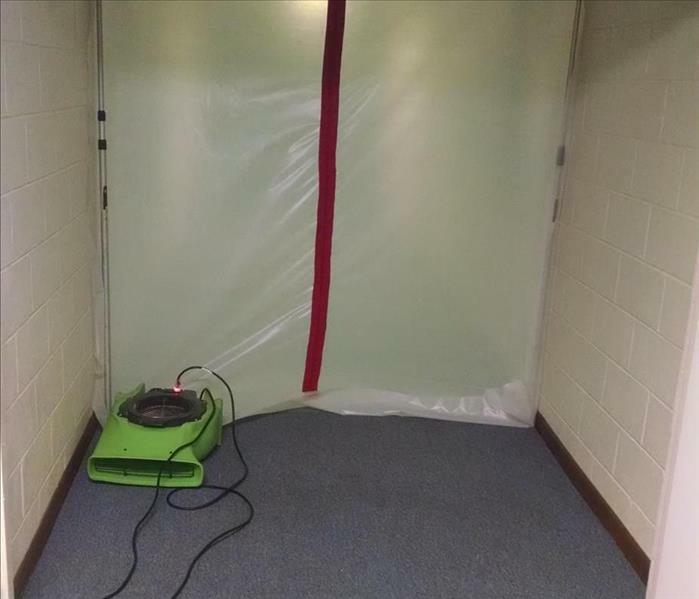 Here is an example of a mold containment area constructed by SERVPRO of Wilson County. The grease fire was mistakenly being doused with water. This failed effort spread the flames to the rest of the kitchen and destroyed this room. We carted away all the burnt cabinets, walls, and appliances before we could even begin the fire damage restoration. Our skilled technicians are well-versed in all aspects of rejuvenating a structure. 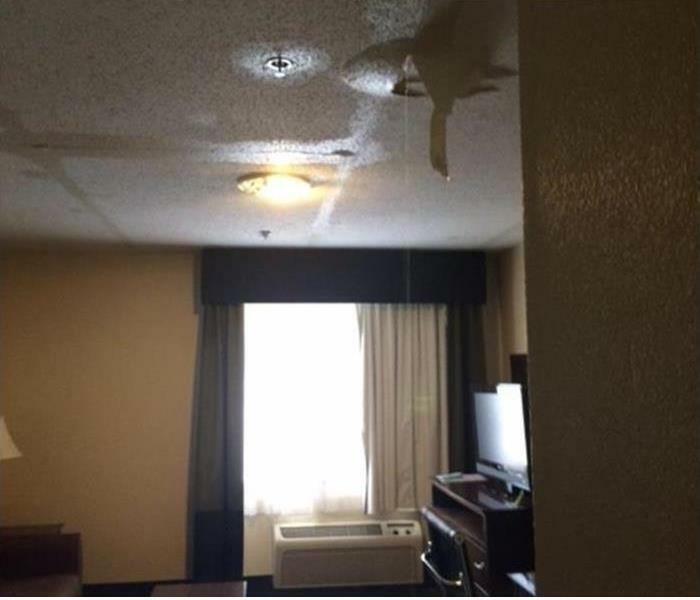 The deluge seeped in through the flat roof of this motel room and saturated the ceiling drywall with the storm water. SERVPRO techs removed the damaged ceiling area, dried out the lumber with fans and dehumidifiers and closed it back up several days later. This hallway showed several mold patches on the ceiling and the carpet caused by a water leak. As our SERVPRO of Wilson County techs dried out the flooring, we sealed the unaffected areas to help prevent mold spores from migrating. 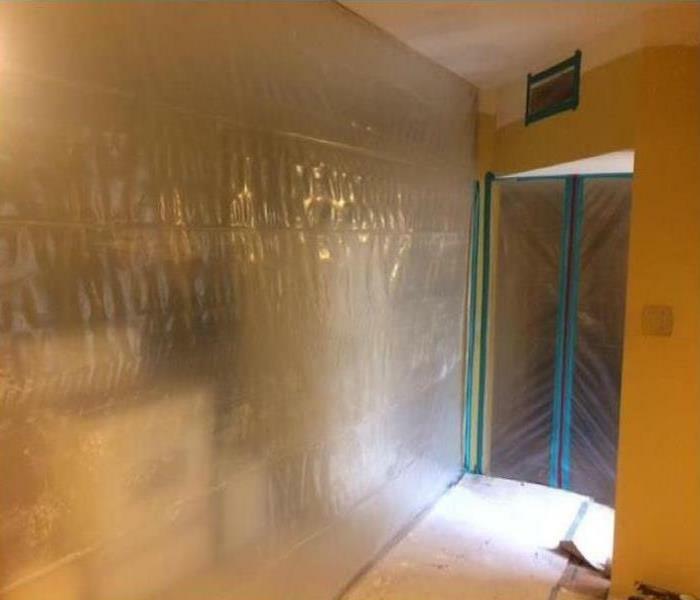 Containment is an important element in mold remediation. This fire and smoke damaged factory received the complete commercial cleanup, no soot was to be found, and the business was able to reopen within days, not weeks. The owner Ronnie was pleasantly surprised and very grateful that SERVPRO of Sumner County came and helped restore order to his commercial business. View this short testimonial video as Ronnie talks about the great response time and incredible service he received from SERVPRO. He even shares ‘The building is cleaner now than before the fire’. We can help with any water, mold, or fire damage event that you may suffer to your home or business. Call us at (615) 449-5000 for fast emergency response. 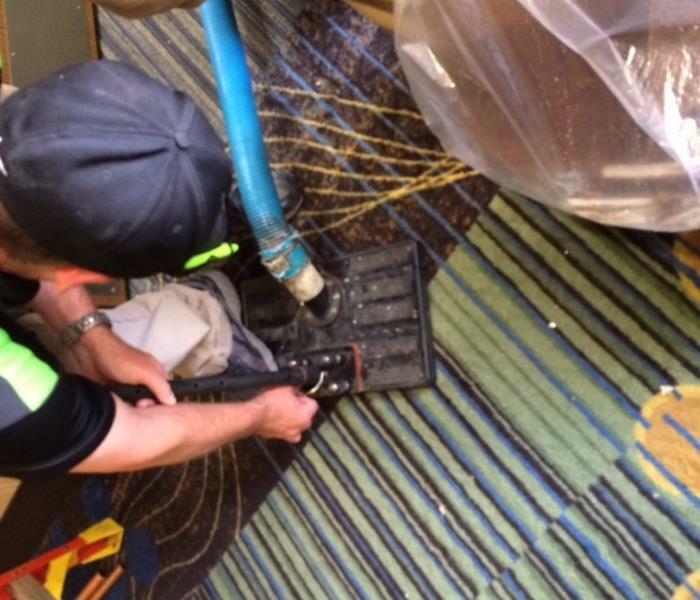 When a fitting broke releasing a flow of water inside a drop-ceiling at the local La Quinta Inns & Suites, they knew who to call for emergency service. We dispatched several vehicles and a crew to extract the water from the hallway carpet, the wall, and the insulation and ceiling tiles. 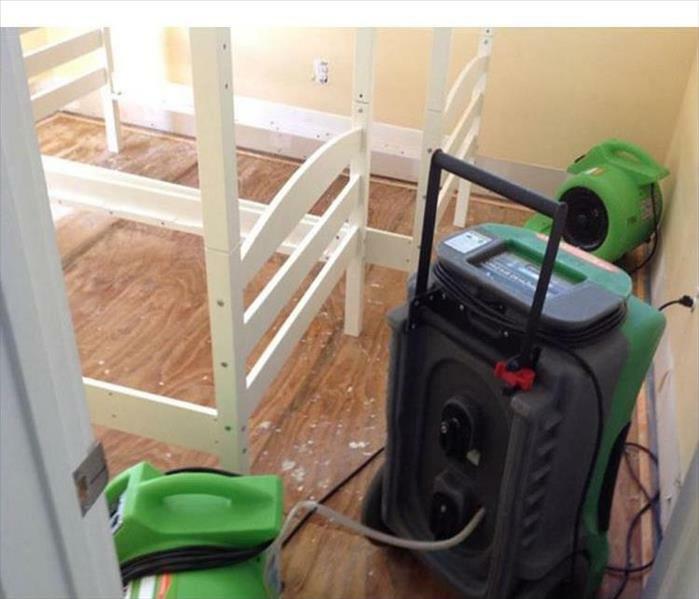 By using top-notch equipment manned by expert IICRC certified technicians, SERVPRO of Wilson County efficiently, in a very unobtrusive manner, resolved the water damage problem, "Like it never even happened." Our business is to keep your business open, simply call (615) 449-5000. This vehicle is getting dried out due to an open sunroof. The owner's child played "lookout scout" but left it open when he went to the house for cookies and milk. A passing cloud gave the exterior and the interior a good washing. 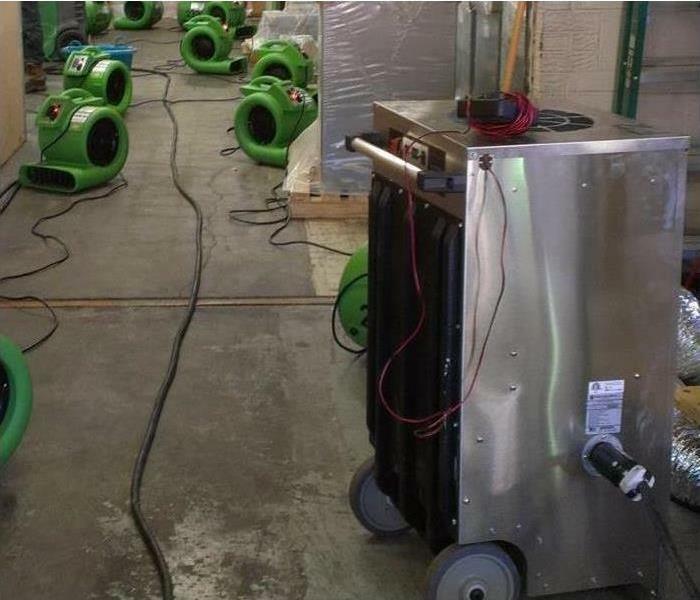 At the SERVPRO of Wilson County facility, we placed powerful air movers to provide rapid evaporation of the rainwater, popped the hood to help the drying process, and wiped down the cabin. We finished our "detailing" with a deodorizing spray. Never need to fret over water intrusion issues, just contact us at (615) 449-5000. After water damage hit a Nashville Metro Public Library Branch, an emergency call was made to our team at SERVPRO of Wilson County. We assembled our equipment and crew and were onsite within an hour of the call. We immediately went to work and set up the proper equipment to extract the standing water. Our technicians then put the axial air movers and dehumidifiers in place to dry the affected area. Luckily, the library’s books were not affected by the water damage. When water or flood damage strikes your Nashville area commercial property, SERVPRO of Wilson County will make it “Like it never even happened.” We are available 24 hours a day, seven days a week, and 365 days a year. 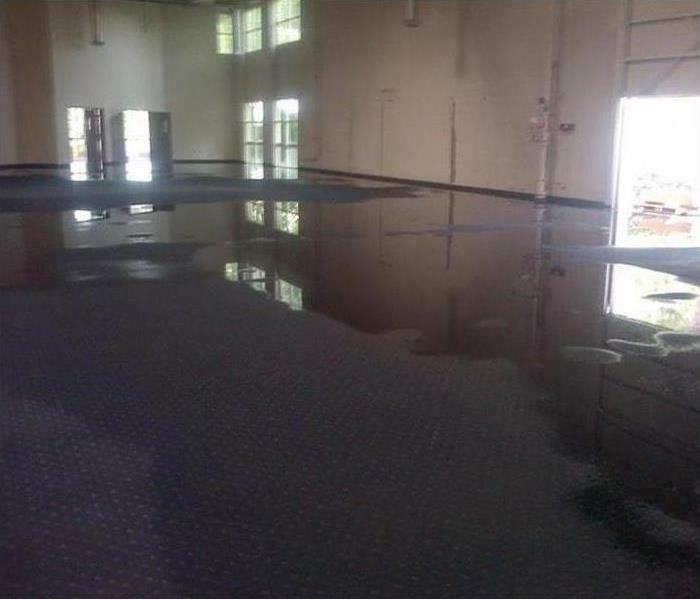 Water Damage at this University of Memphis building occurred as a result of a burst water supply line. The subsequent restoration required the use of a considerable number of drying and dehumidification units. 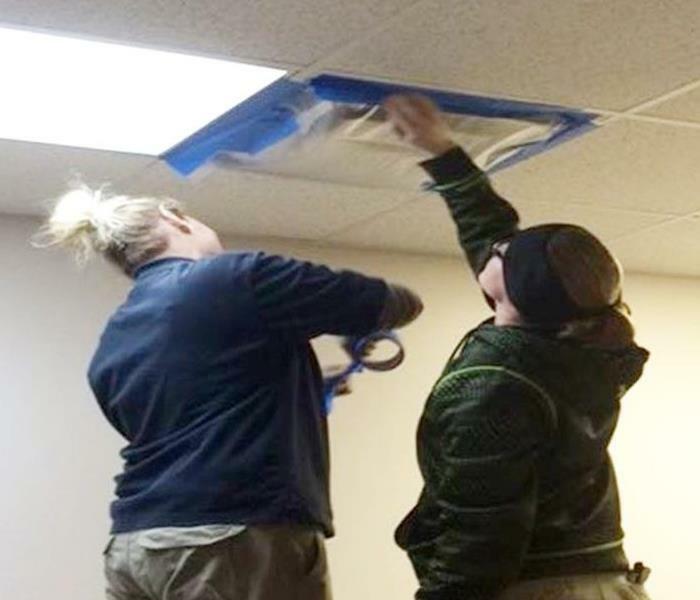 The Tennessee-based Disaster Recovery Group at SERVPRO of Wilson County was ready with the needed equipment and personnel to aid the University in their massive water damage repair operation. 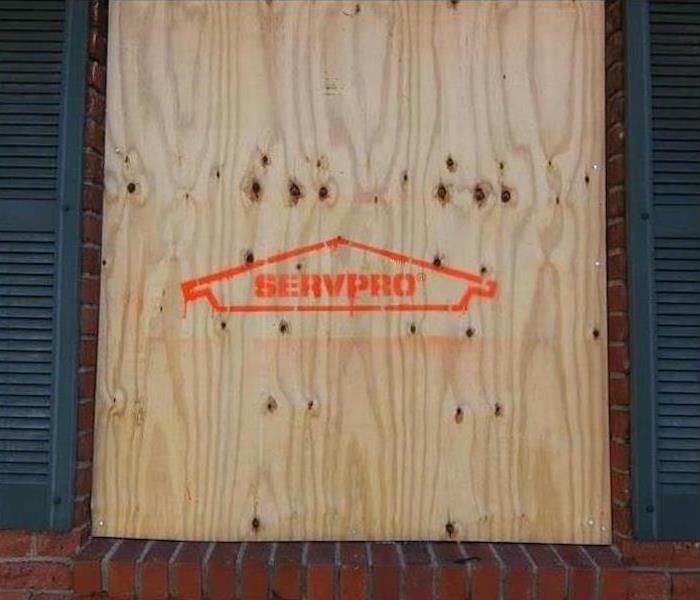 If you encounter any size disaster, call the experts at SERVPRO of Wilson County. Contact us 24/7 at (615) 449-5000. 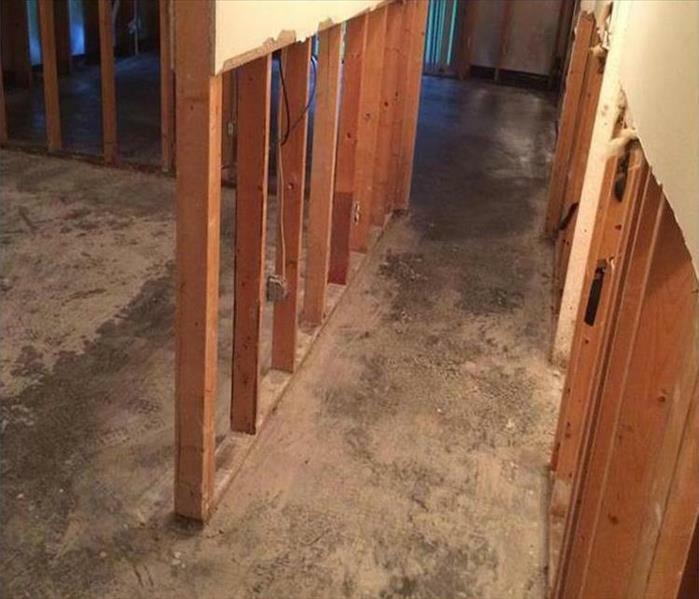 If Nashville Flood damage strikes your home and you require extensive restoration or cleaning, SERVPRO of Wilson County can conduct an organized, efficient move-out of the affected area. Move-out will provide several benefits, including: a quicker remodeling process, protecting items from potential damage, protecting contents from further on-site damage. Water damage affects not only the structure of your house but also your belongings. SERVPRO understand that your home is more than a structure; your family’s furniture, clothing, keepsakes, and other belongings help transform a house into a home. Should a catastrophic storm strike your Nashville home, call (615) 449-5000 for help. 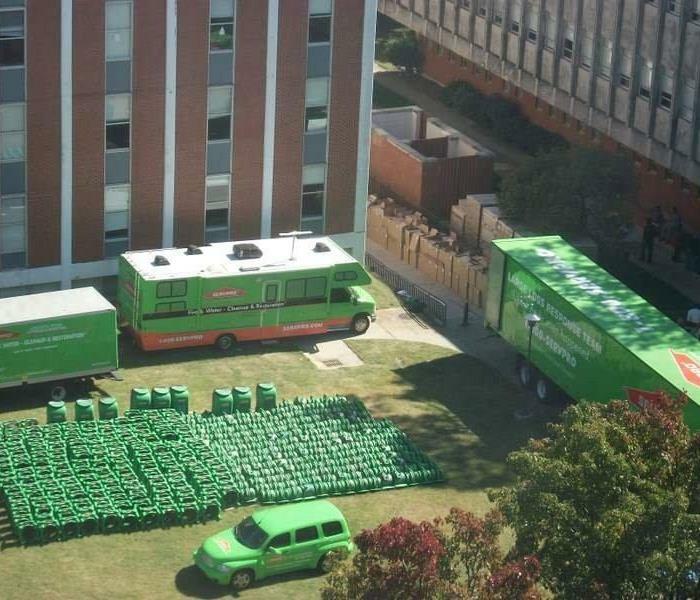 Even in the face of a disaster, SERVPRO of Wilson County will strive to help make it "Like it never even happened." Nashville water damage was suffered in many rooms of this home when a washing machine water line burst. The homeowners called SERVPRO of Wilson County and they quickly responded. 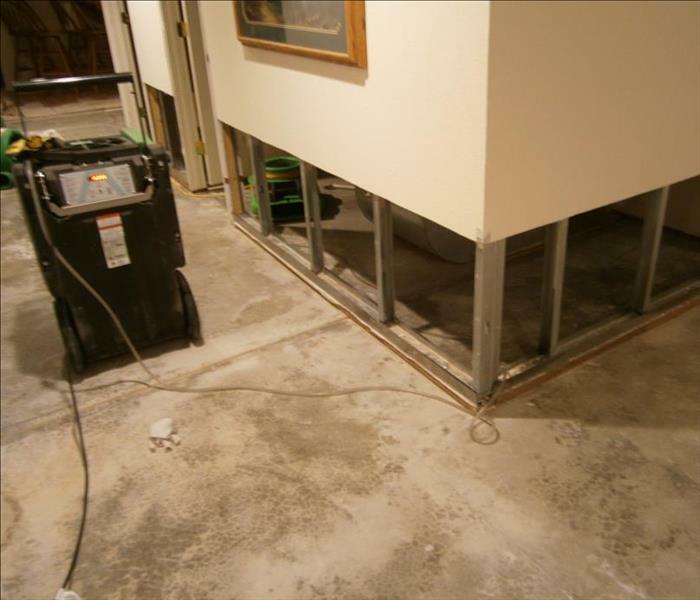 The damaged drywall and carpet were removed and equipment was brought in to safely and completely dry the areas. We are available 24 hours a day 7 days a week for your emergency at (615) 449-5000. 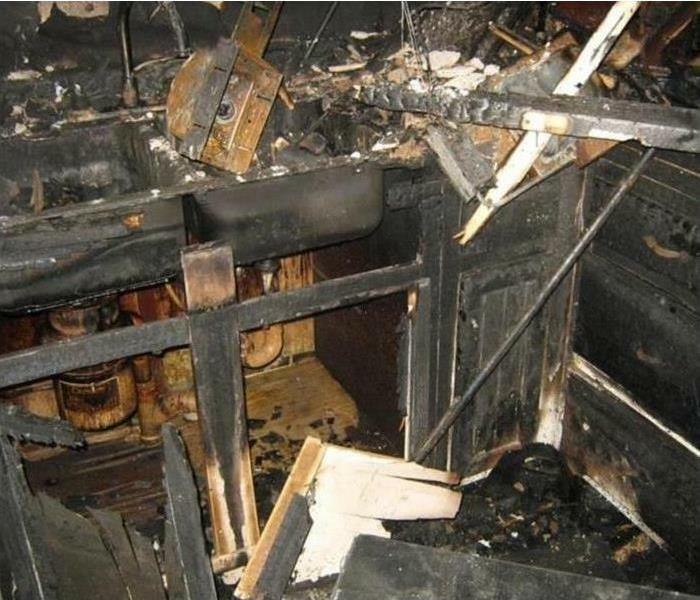 This home in Nashville suffered from major fire damage accompanied with stubborn soot damage. 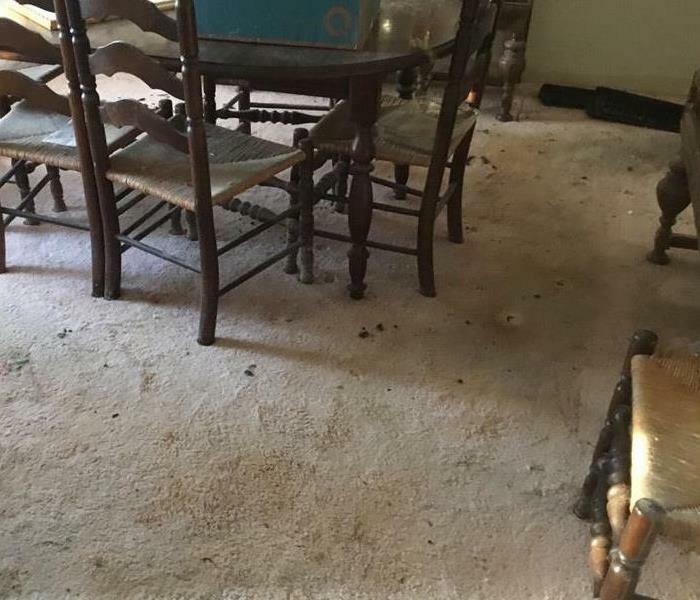 SERVPRO of Wilson County was on the scene quickly to make it "Like It Never Even Happened". We provided emergency board up services then continued to provide the services needed to complete this project. We handled pack out services, contents cleaning, reconstruction, and move back services. Our technicians are trained and certified in each of these areas helping to seamlessly move from one phase of the restoration to the next. This shortens time to completion and saves money. If you experience an emergency event call SERVPRO of Wilson County 24/7 at (615) 449-5000. 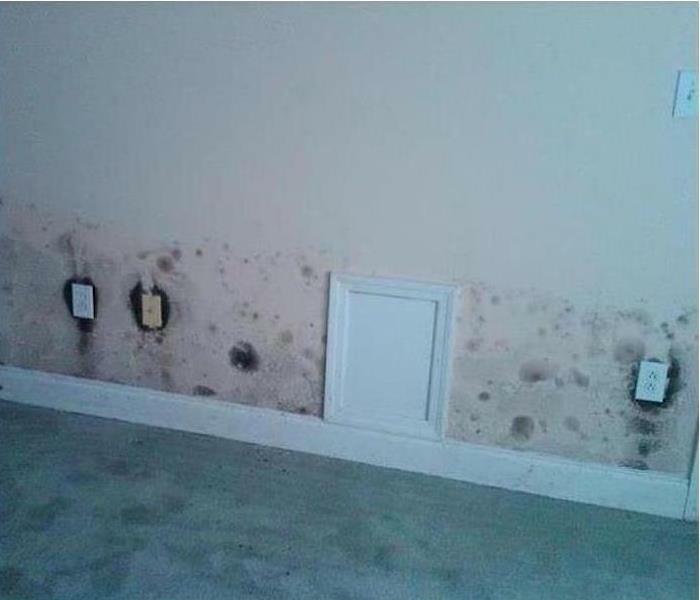 This home had a water leak leading to extensive Nashville mold damage. Mold not only severely damages a home, but it also produces irritants and allergens which could have adverse health effects for the home’s occupants. SERVPRO of Nashville has trained and certified professionals that are familiar with mold growth. They work with the finest equipment in the industry to quickly remediate the mold in your home. 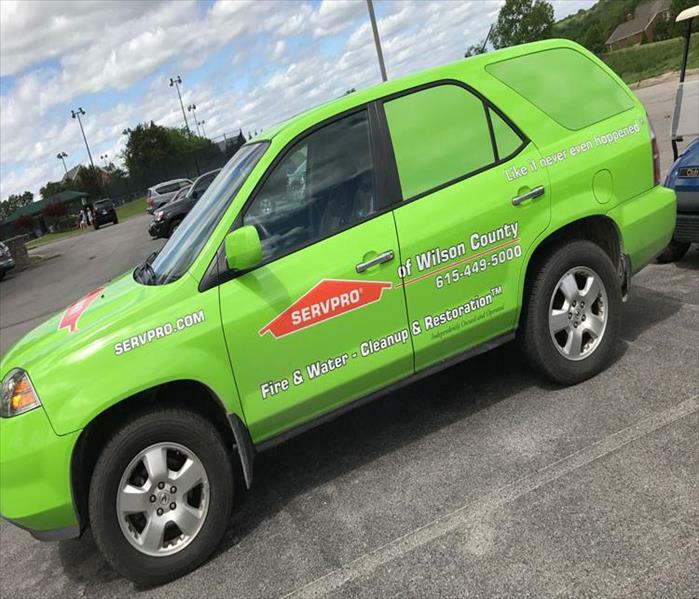 Call SERVPRO of Wilson County 24/7 at (615) 449-5000. Nashville storm damage requires the use of specialized equipment and lots of it to deal with the water damage conditions created. SERVPRO of Wilson County employs the latest water extraction equipment, industrial air movers, and dehumidifiers. They have sufficient equipment to handle any size disaster. SERVPRO of Wilson County is ready to help 24/7. Please call (615) 449-5000.